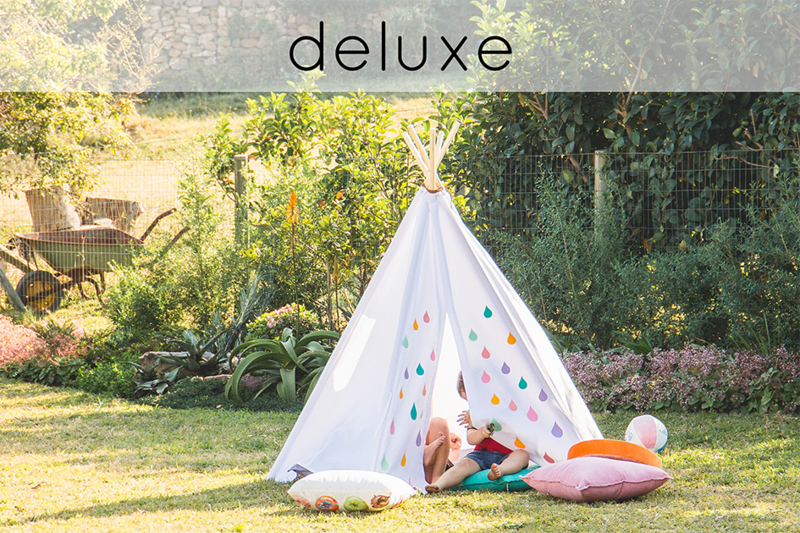 Our Deluxe range – for those wanting something unique, and a little extra special, something they can have a hand in customizing. 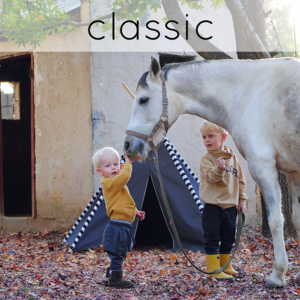 We generally don’t keep stock of these beauties, and are always game to try something new. 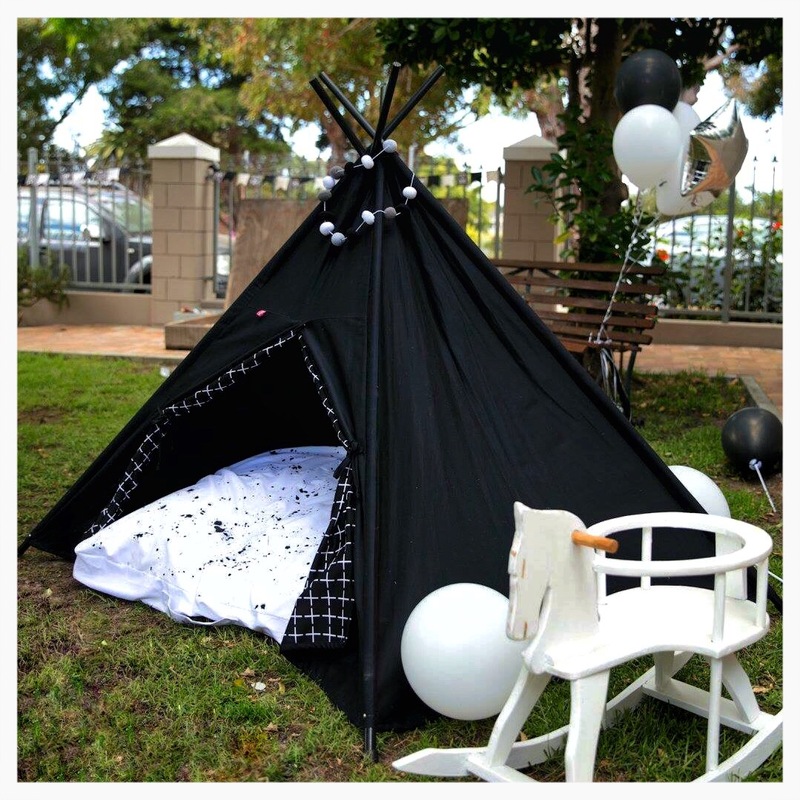 So hit us up! 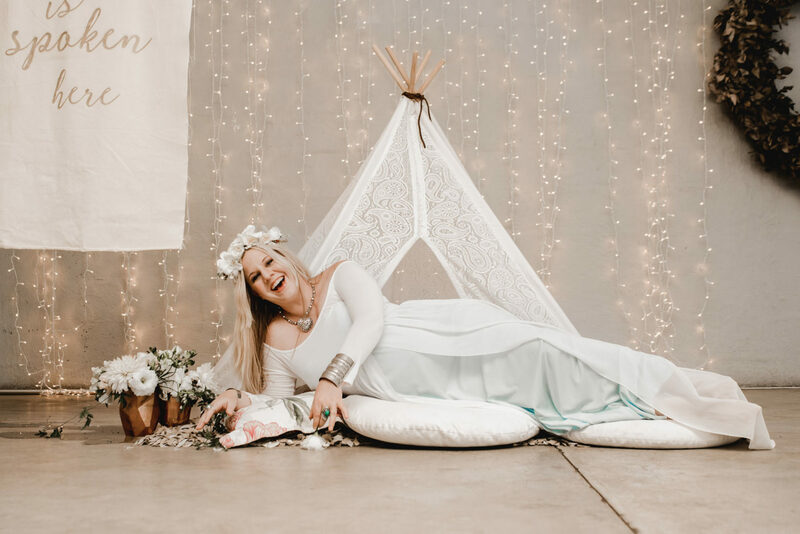 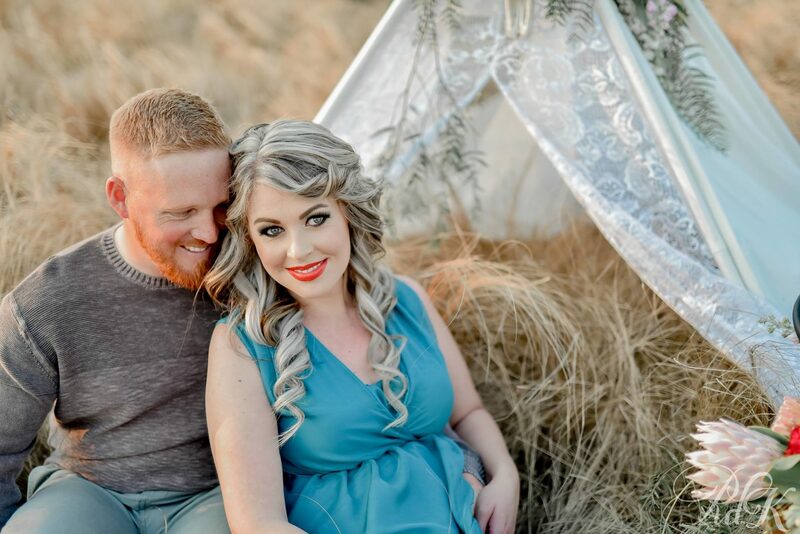 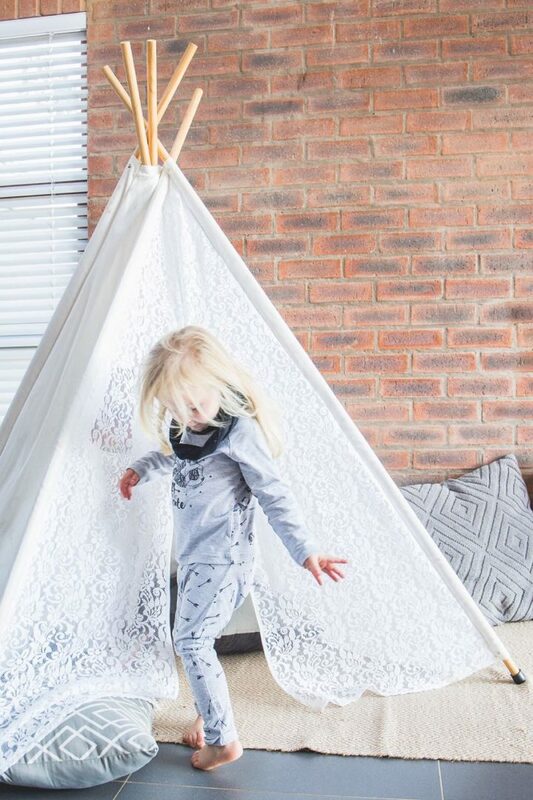 In this gallery you’ll see a few that we’ve made to date, from rainbow raindrops, to beautiful white lace, to monochrome double layered/lined fronts… the possibilities are endless. 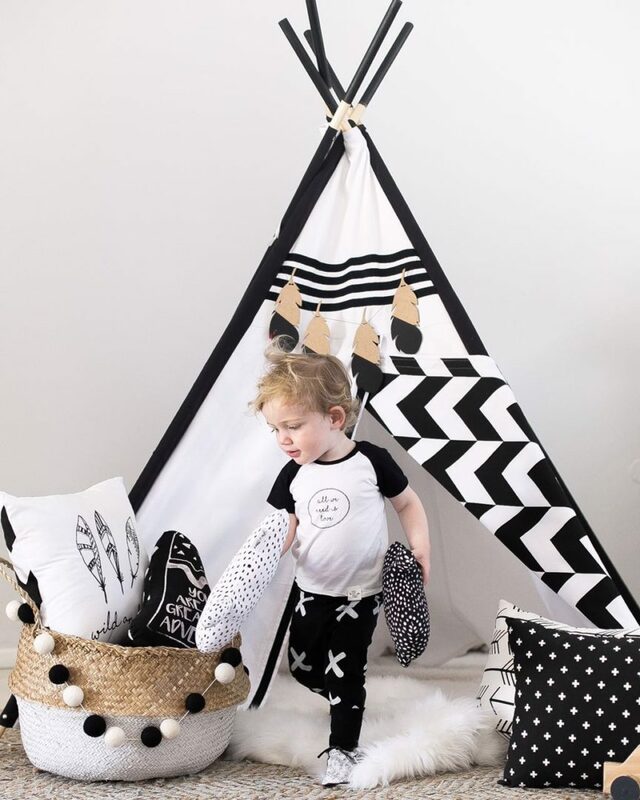 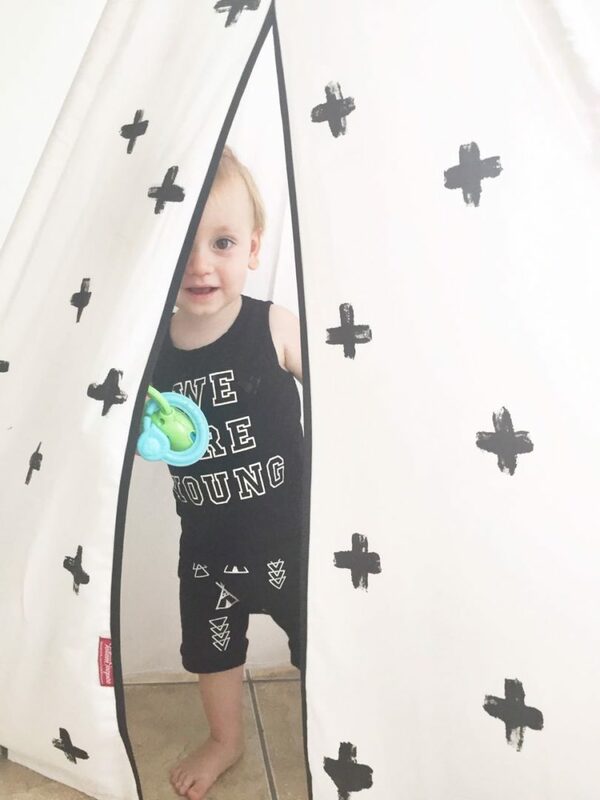 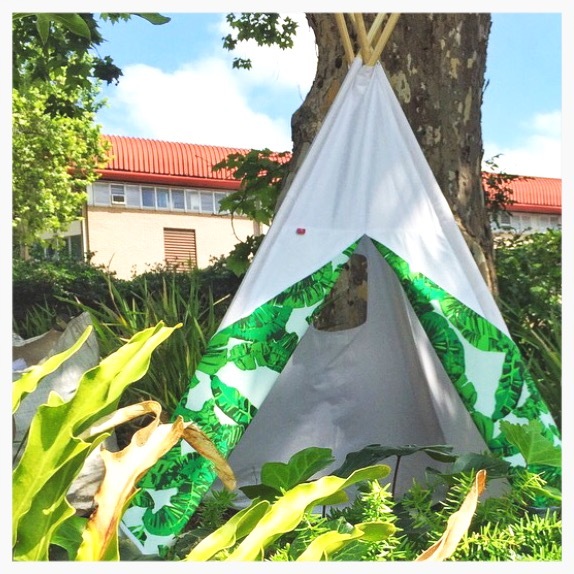 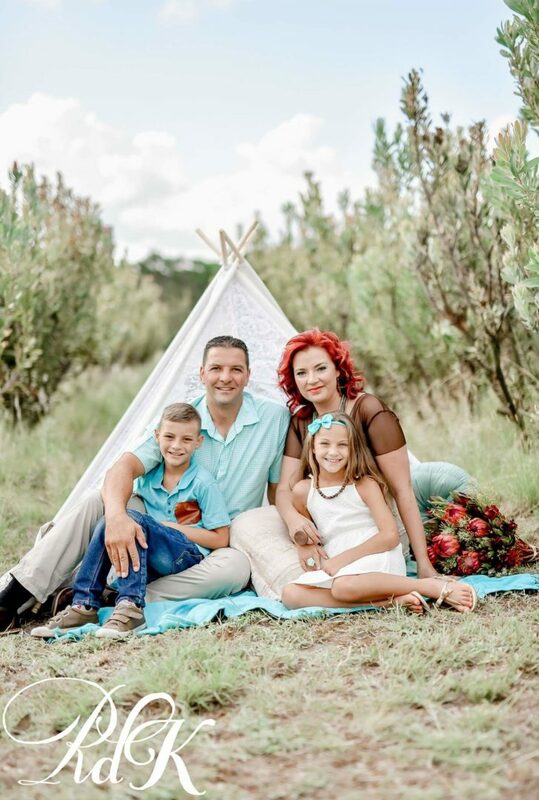 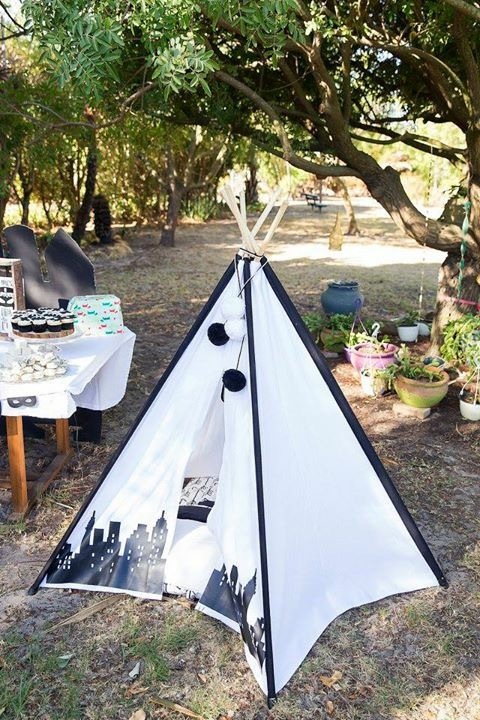 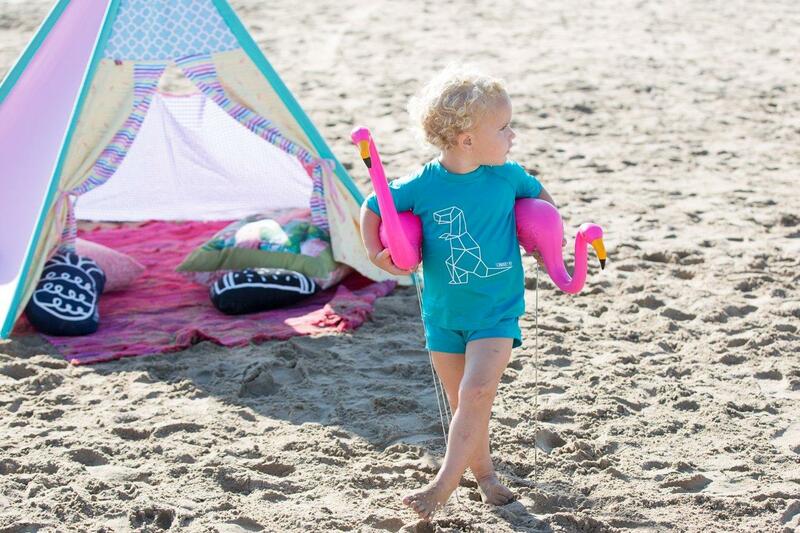 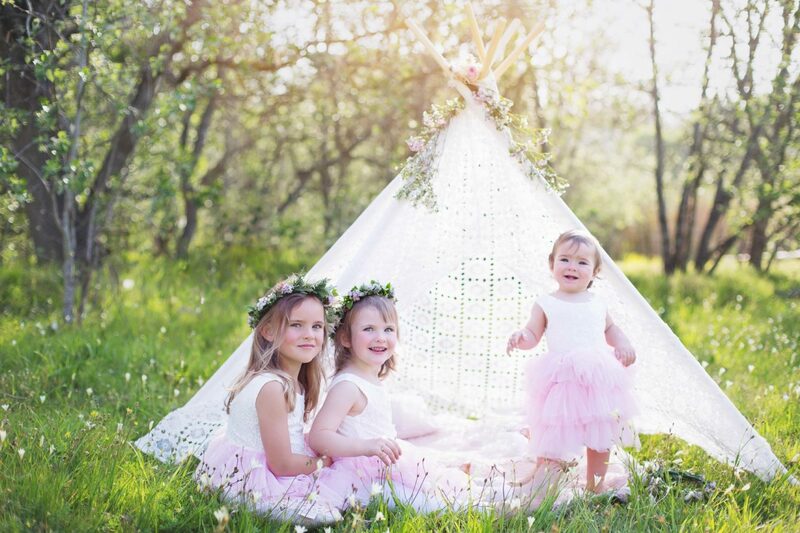 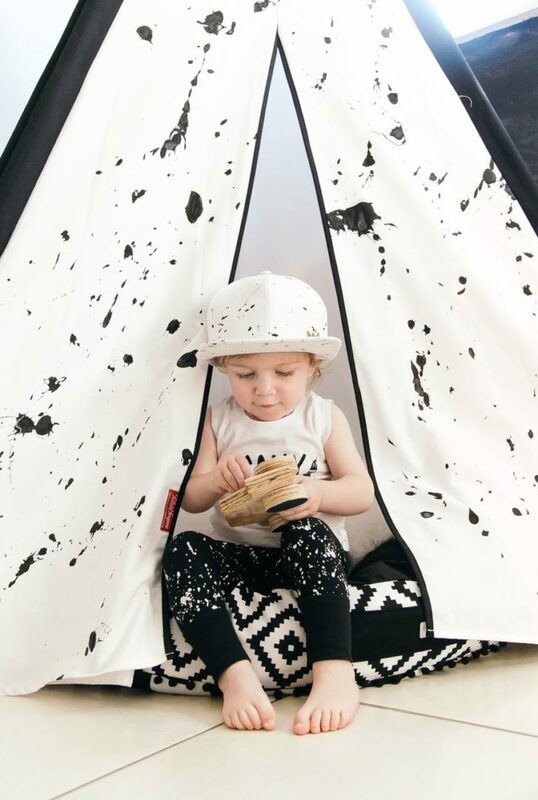 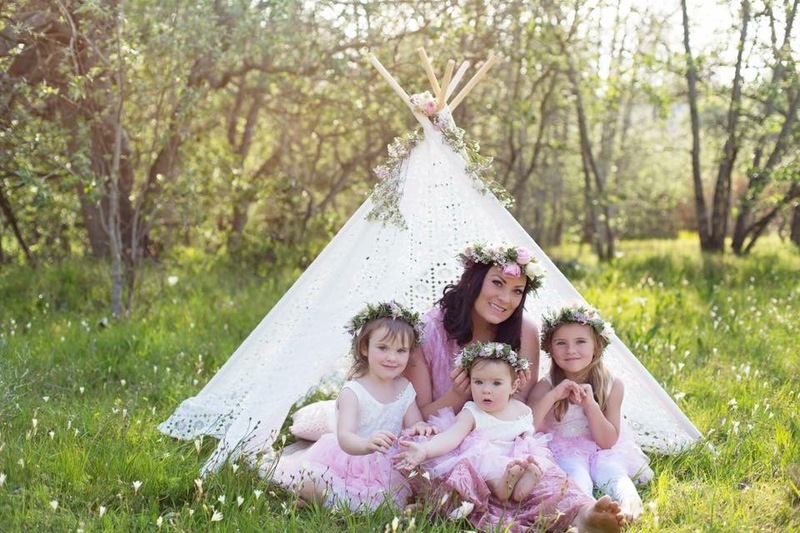 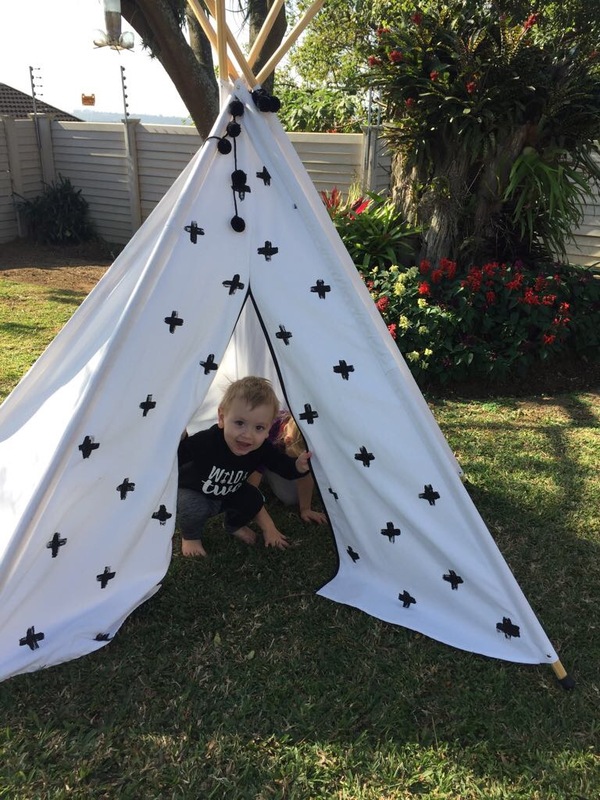 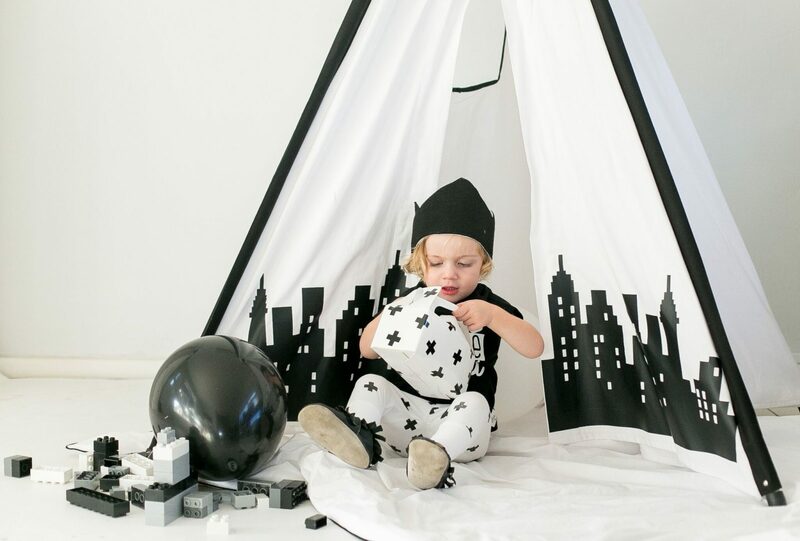 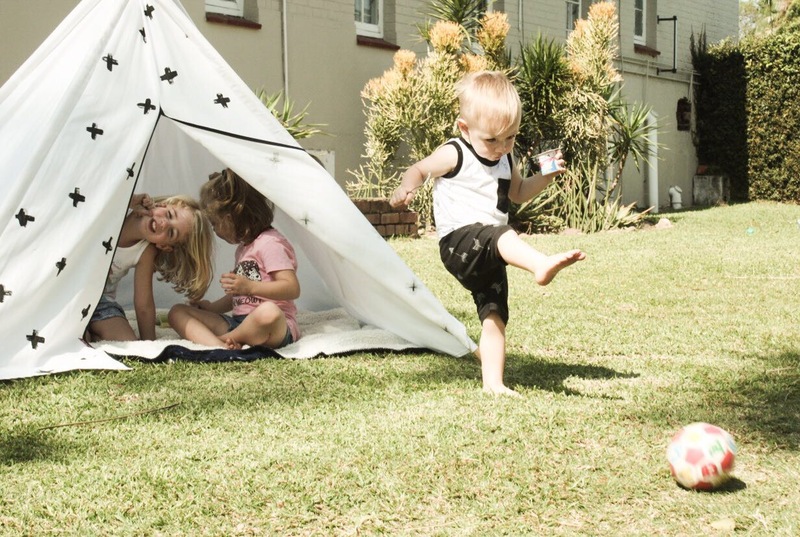 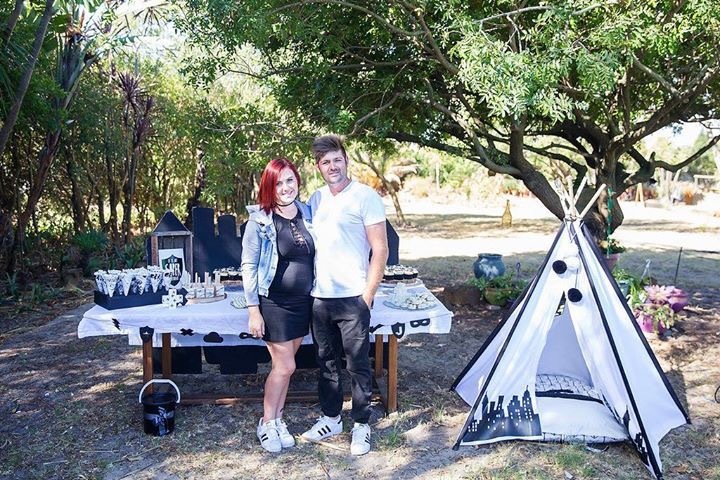 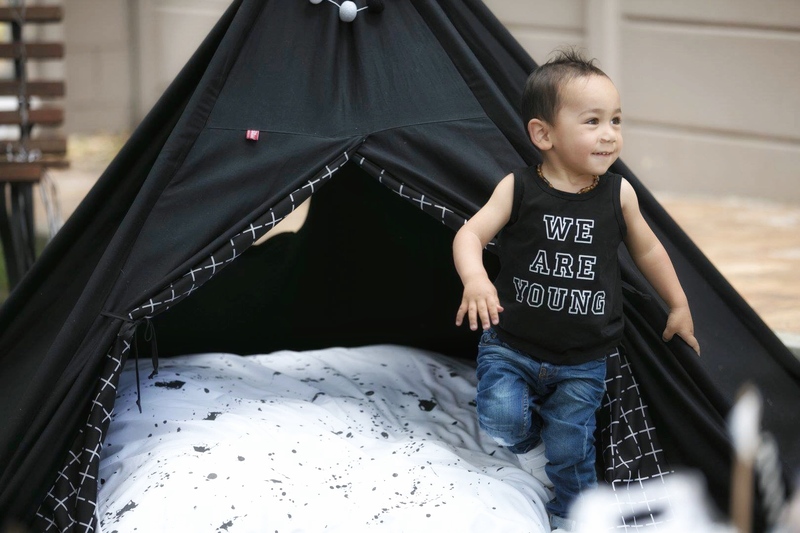 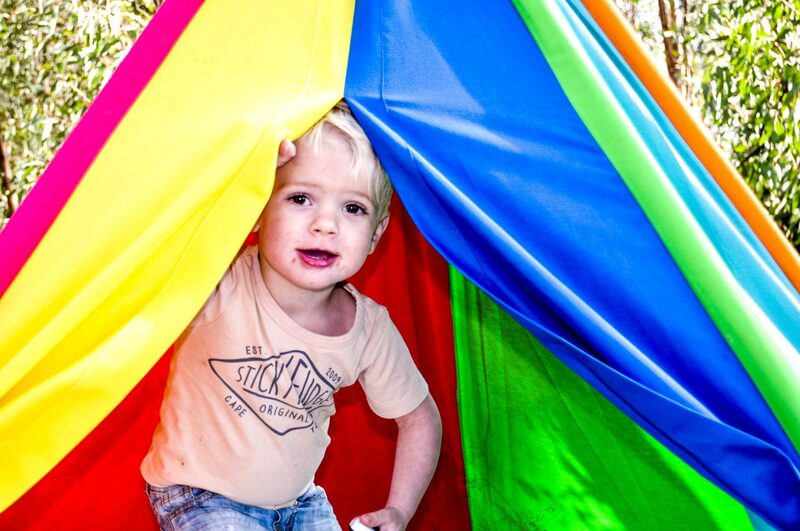 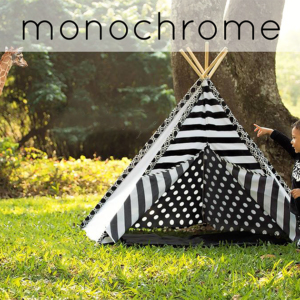 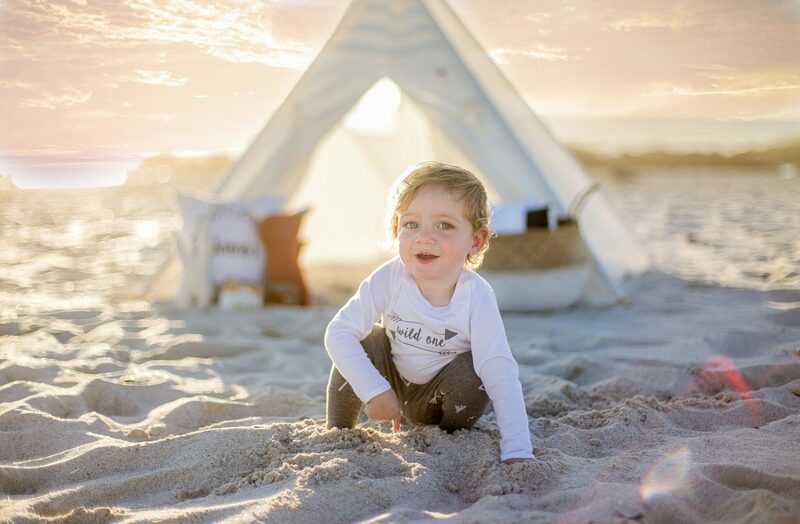 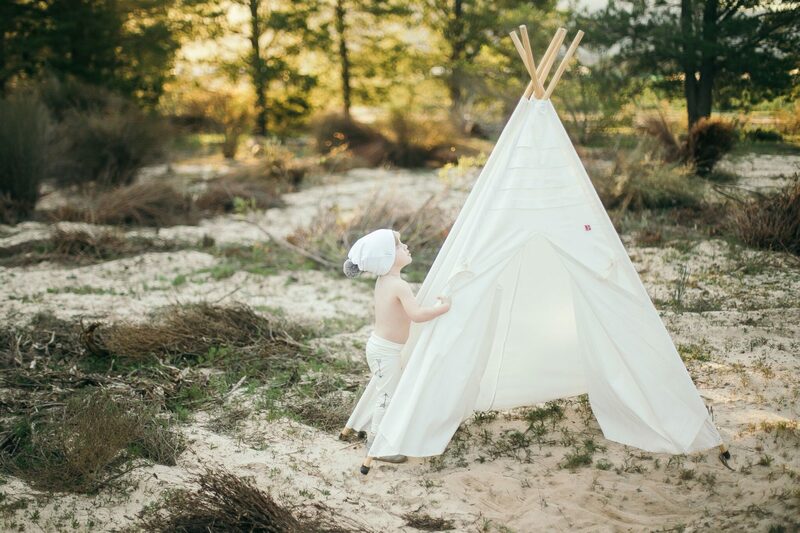 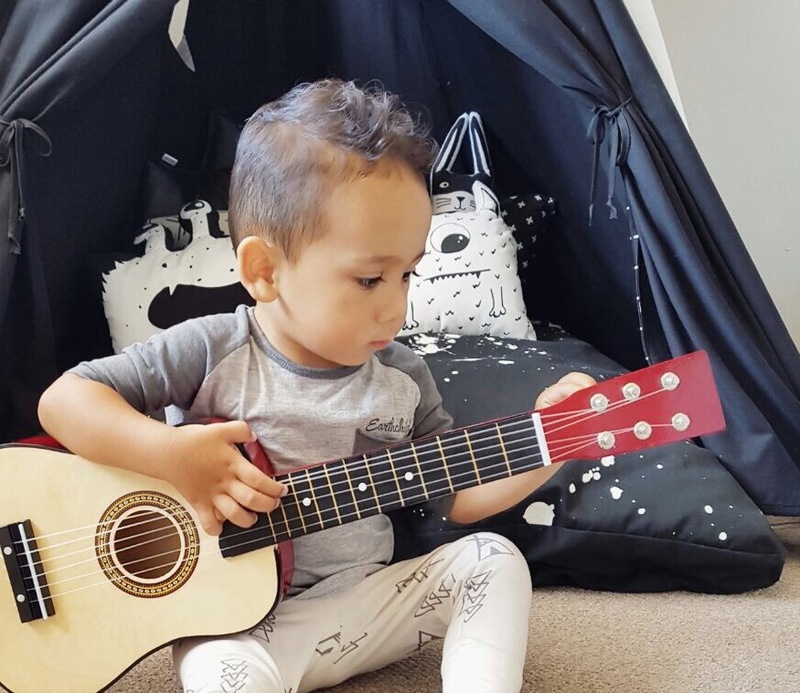 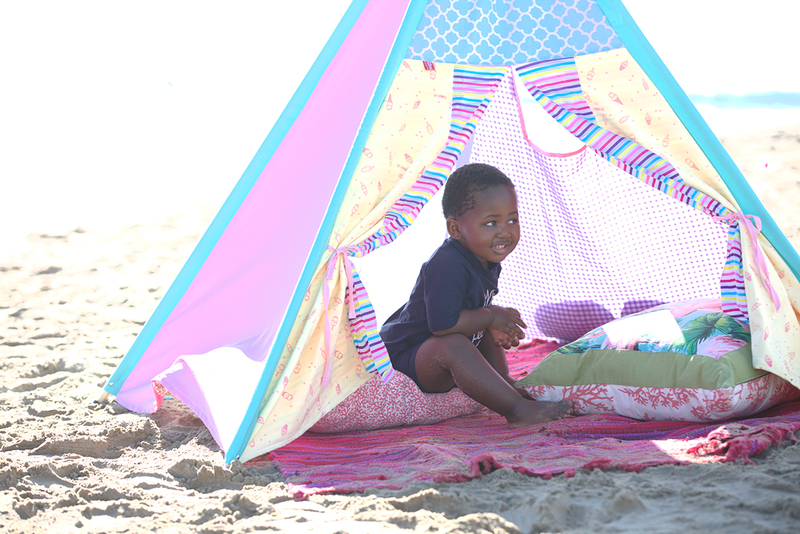 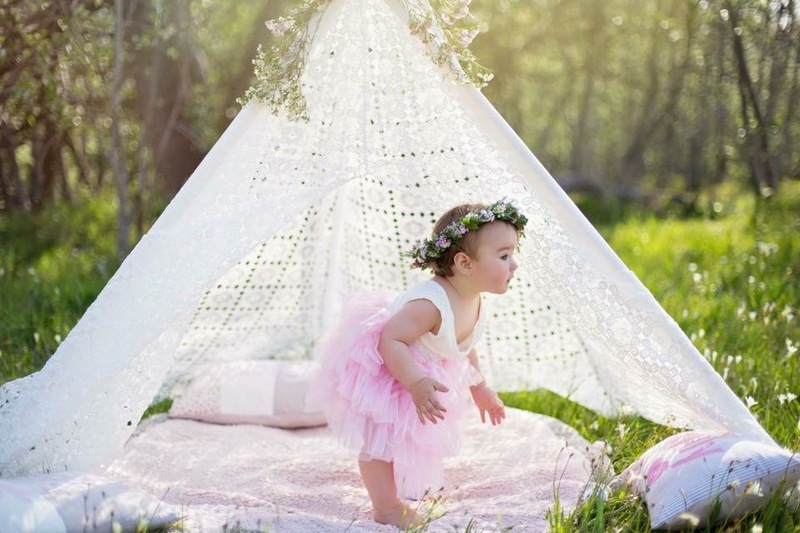 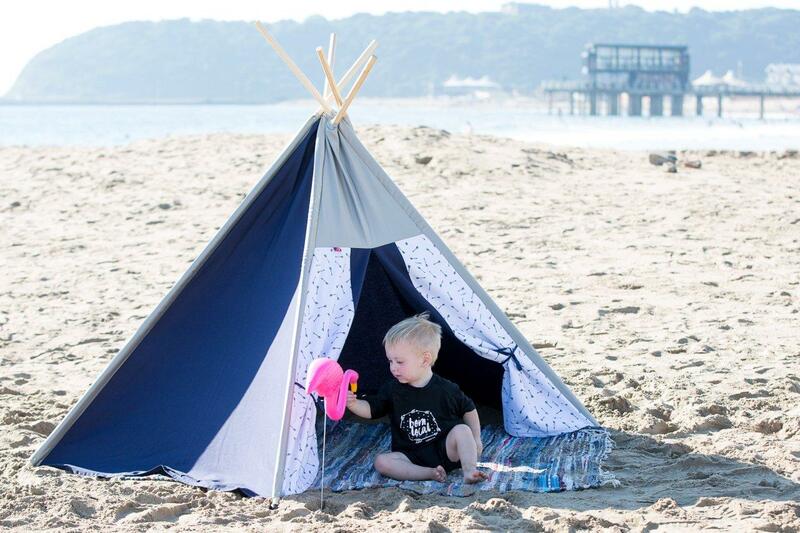 To pick a “uniquely you” Deluxe Teepee please check out our CATALOGUE and make your selection there. 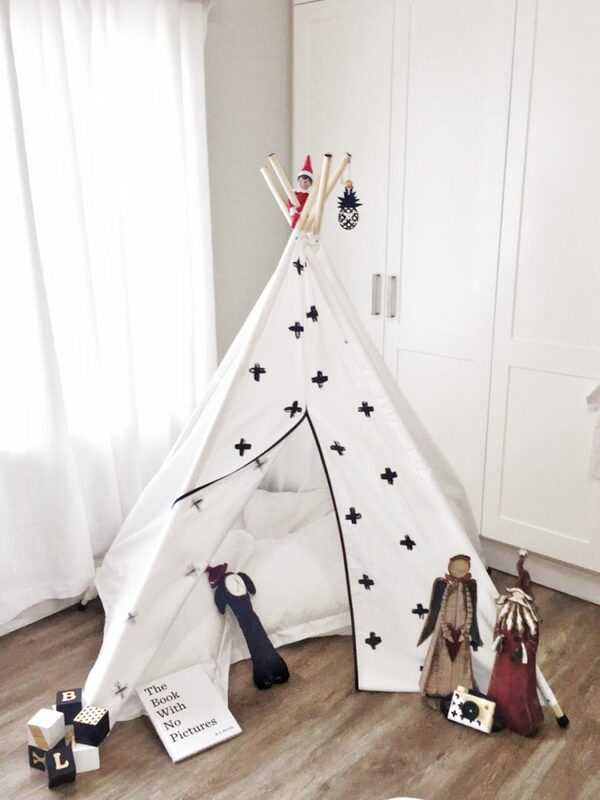 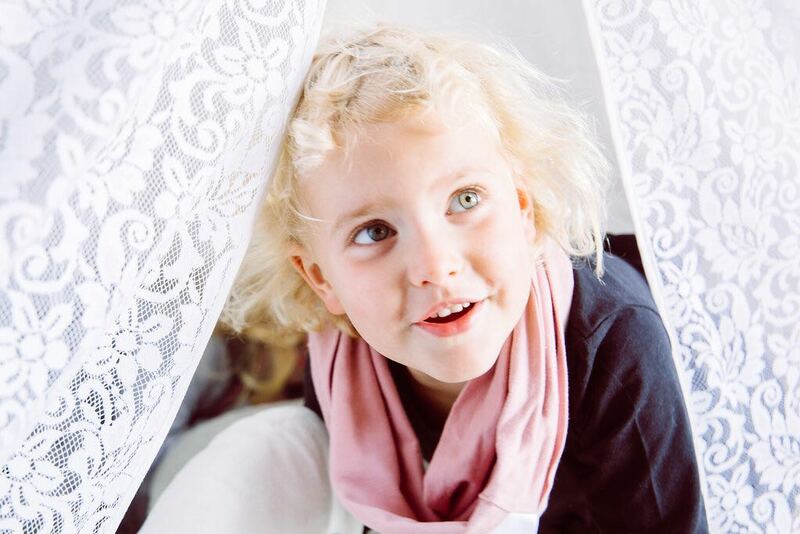 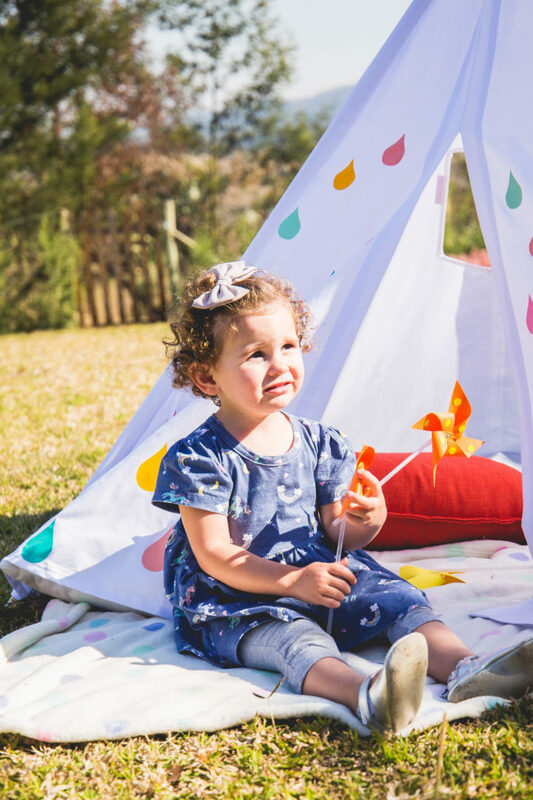 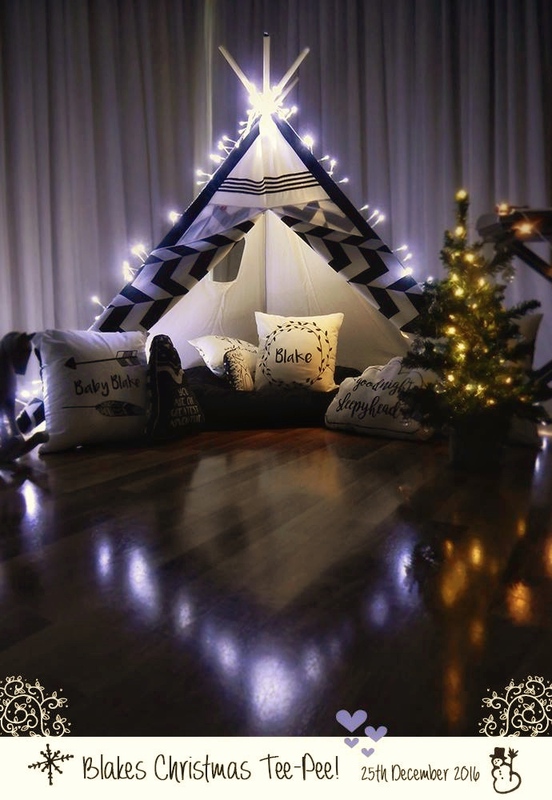 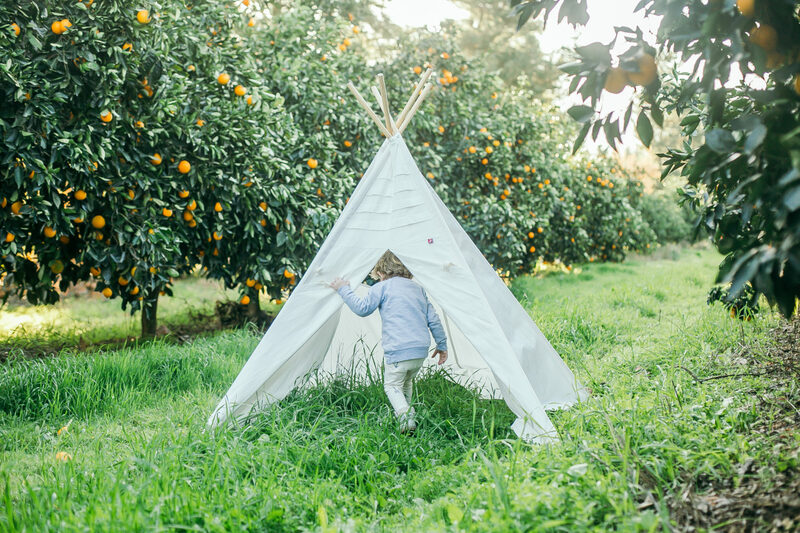 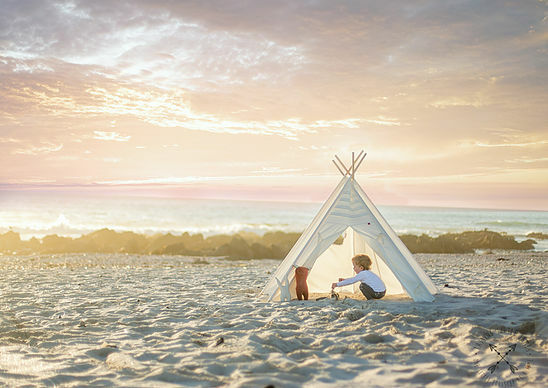 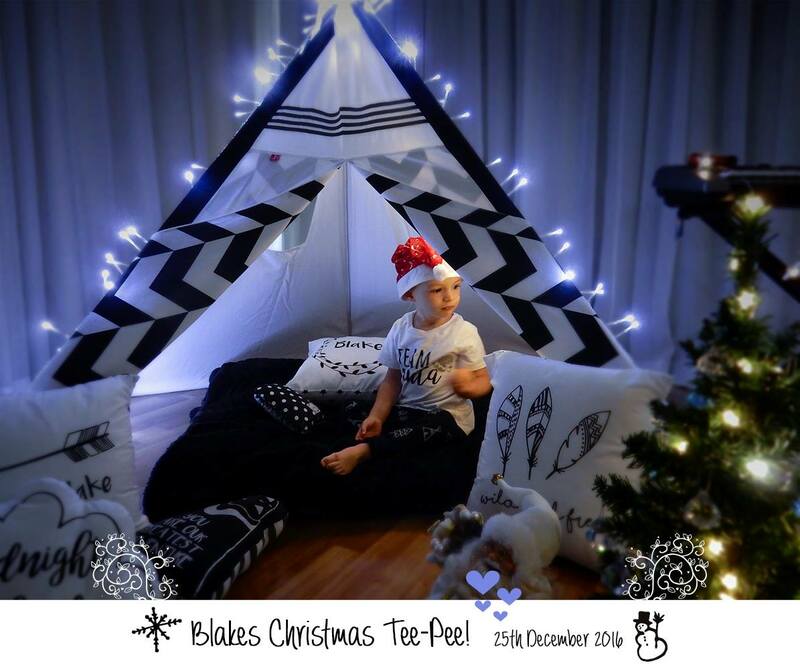 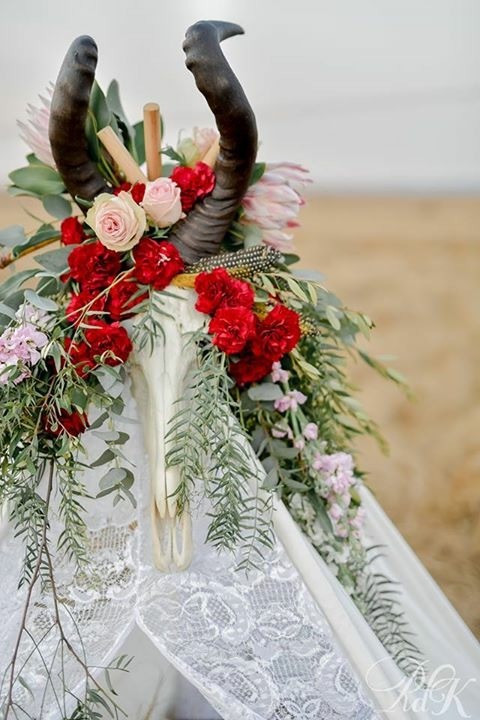 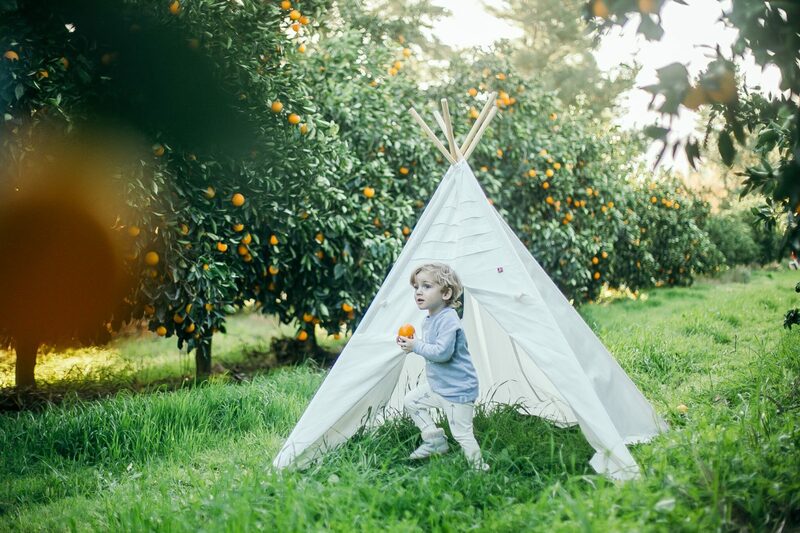 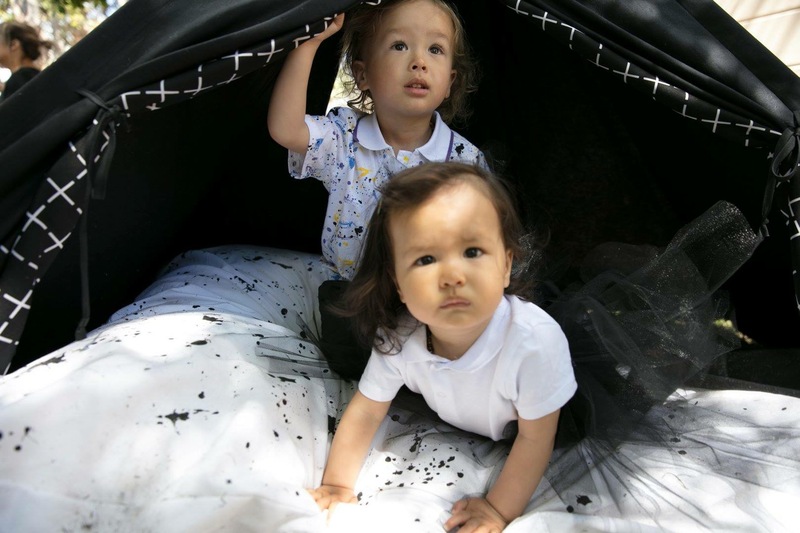 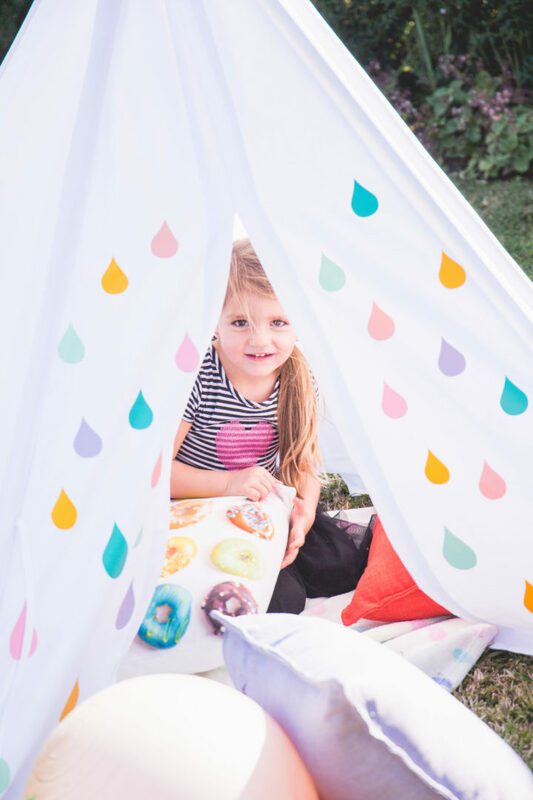 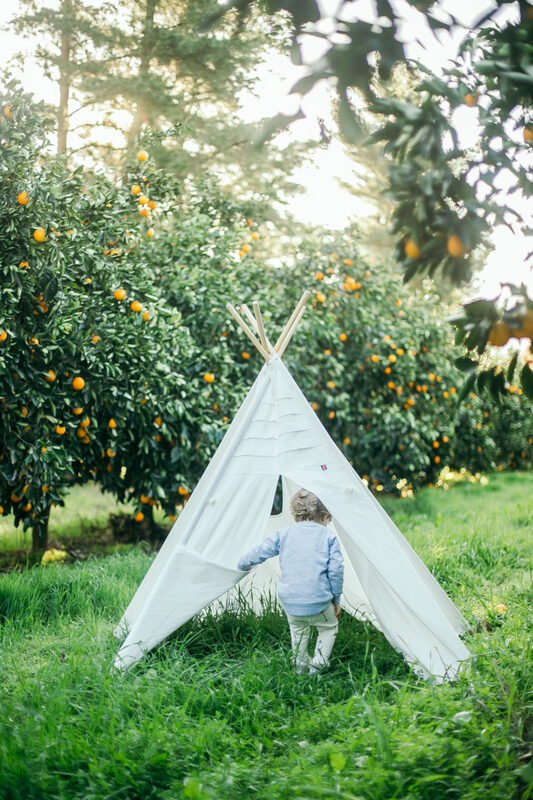 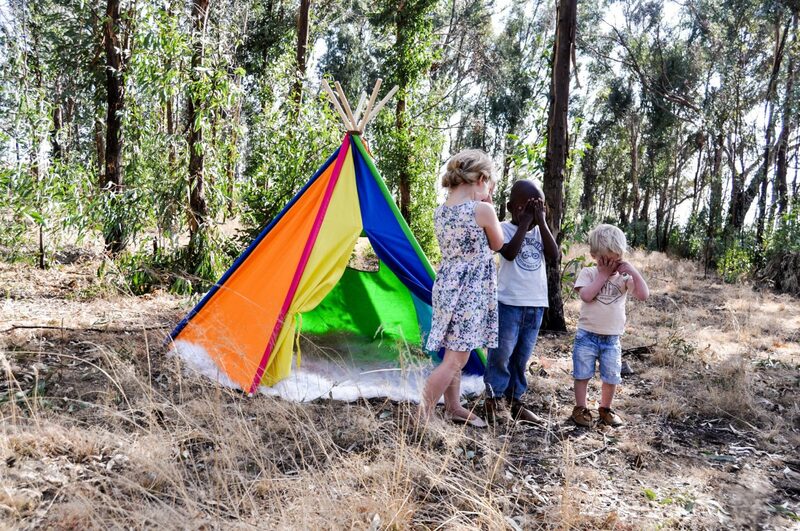 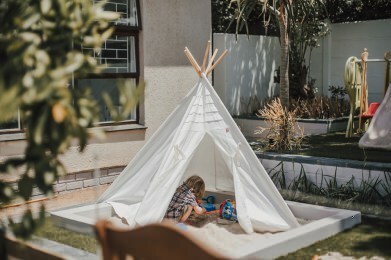 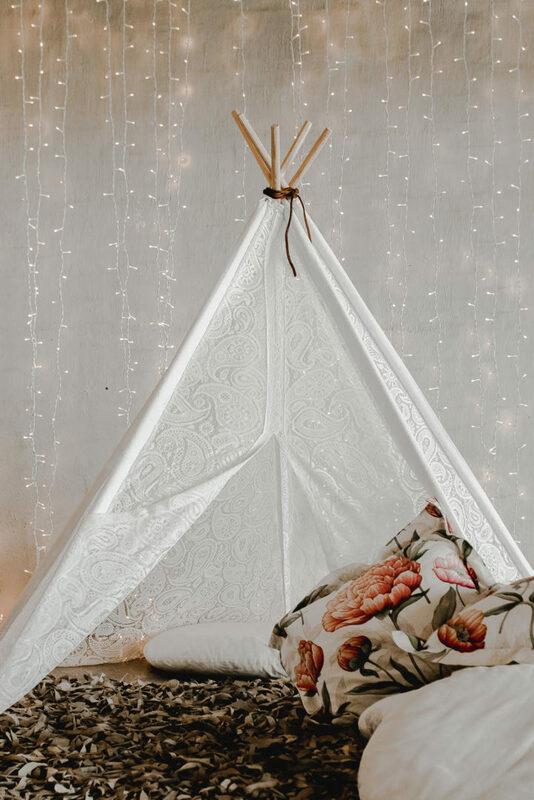 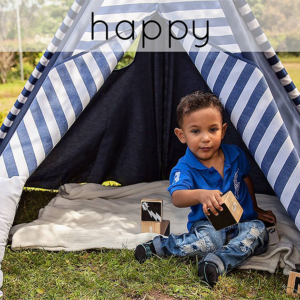 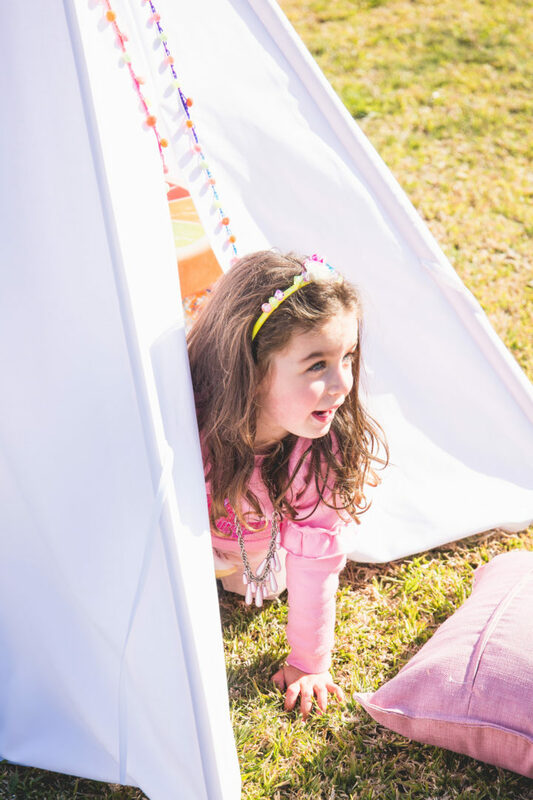 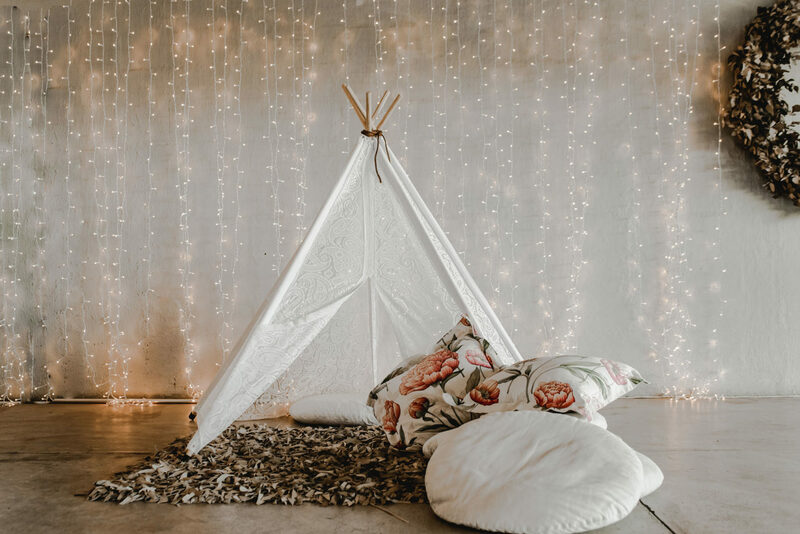 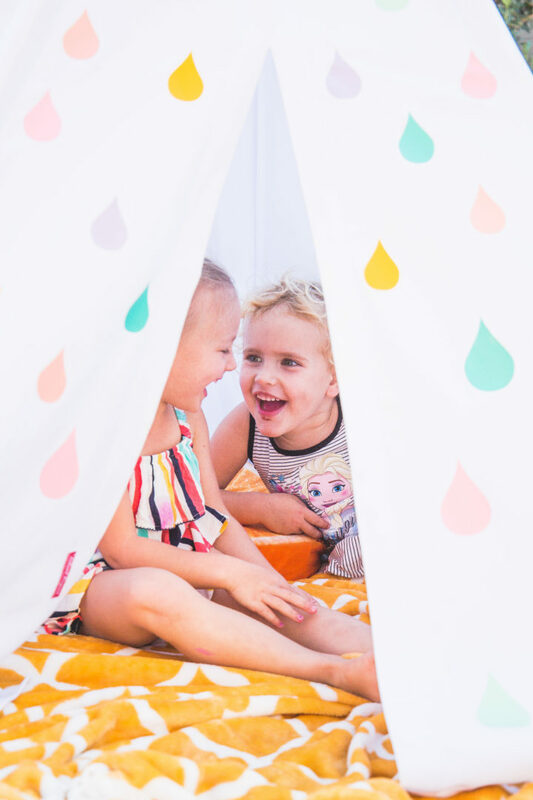 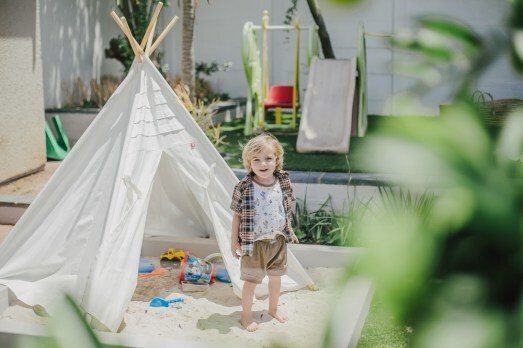 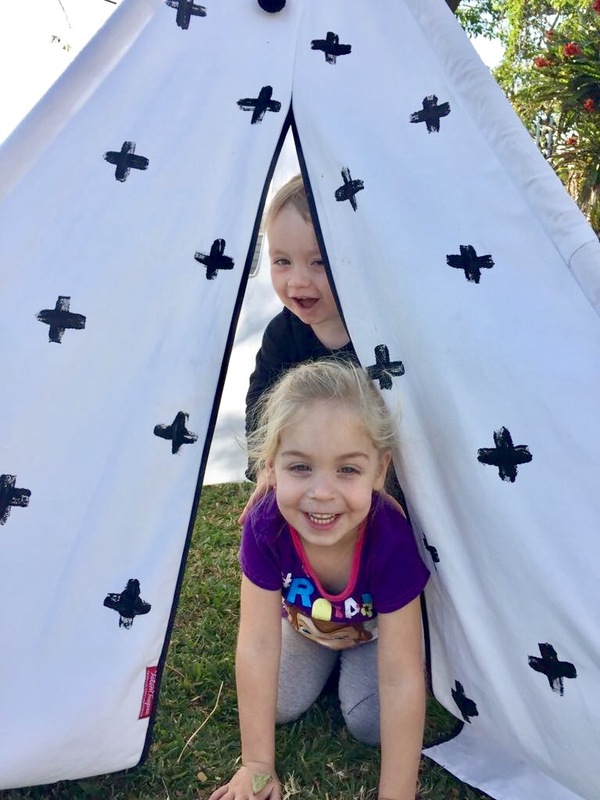 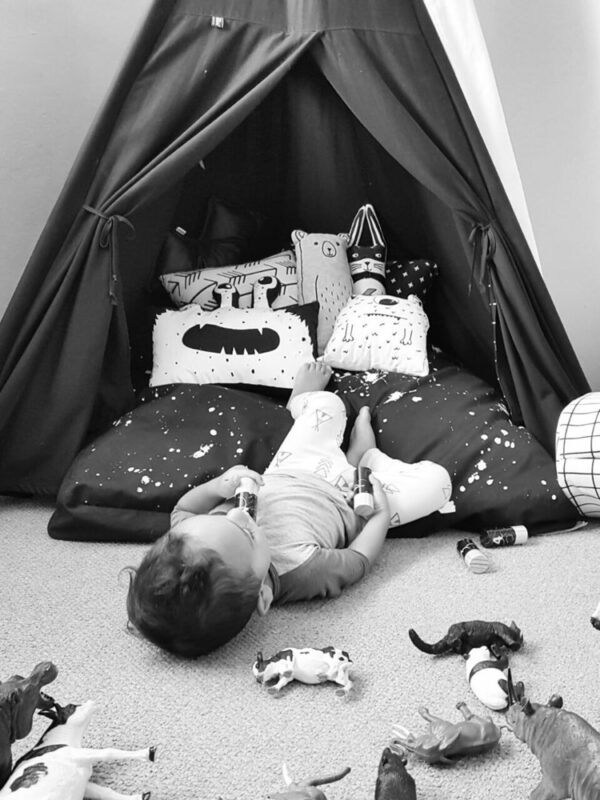 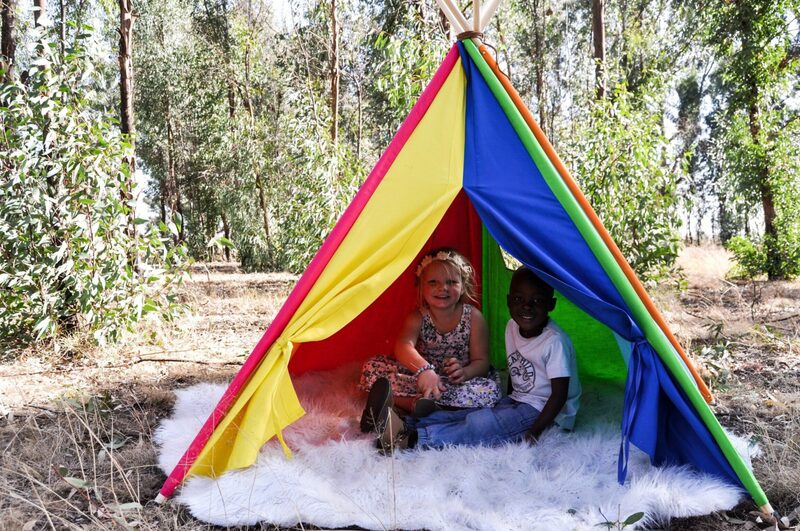 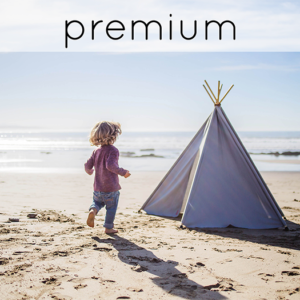 As with all our Totem Teepees, it’s already assembled, there are 5 panels, 22mm diameter solid pine poles, carefully chosen materials and every kid’s favourite feature: the window.